So were 33% of the way through the 90-day challenge, week 4. One month is normally not a great indicator for personal change, but it’s good to take stock of I am. So since June 16th I’ve done 7 workouts, so ~2 a week. I was intending to do 4 a week, but it’s not been realistic workwise, plus it was my sister’s wedding.. I see a bit of a visual difference visceral fat size. Lines are a little deeper and more defined maybe? Hard to say. 1.8% seems a little unlikely, but I could imagine 0.5-1%. 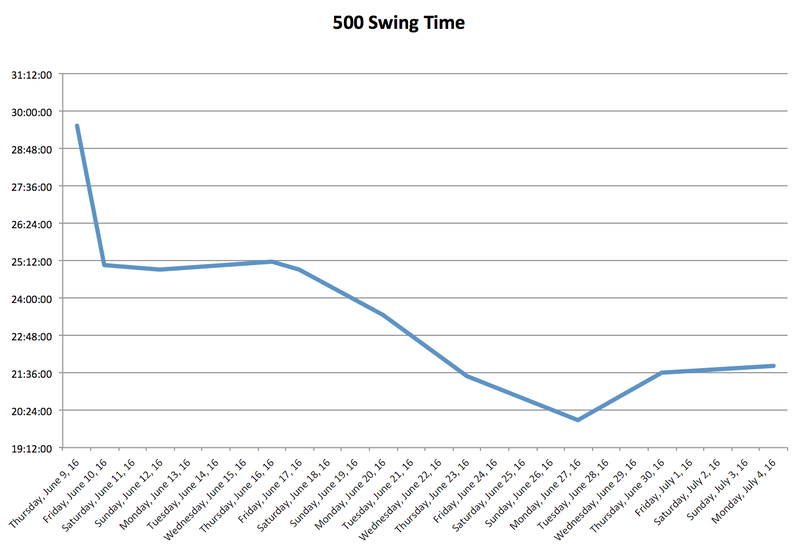 I feel like my 500 Swing time jumped a lot at first as I got used to it, but seems to be evening out at about 21 minutes. 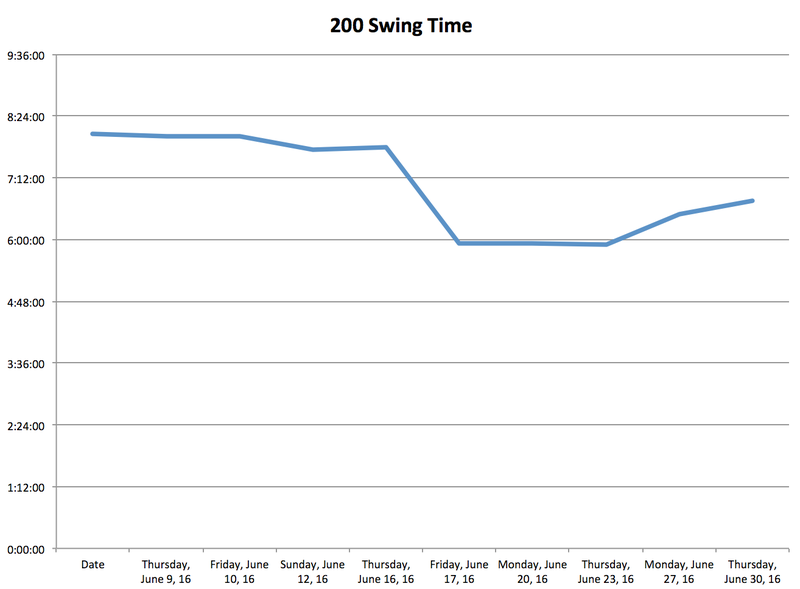 My 500 Swing time peaked at 5:55, and it’s been a real struggle to get it lower than that. My increased time is normally because I gas myself out trying to push myself to beat the 500 swing time. Also, swings are now incredibly boring. It’s definitely more of a mental thing than a physical thing at this point. The Kettlebell no longer feels heavy. My forearms are screaming by the end, but I can do 135 swings in a row. Next check-in will be Week 8, I should have finished my 10’000 Swing challenge by then, I’ll probably move on to 24kg swings 200 a day with a standard powerlifting routine, just for some variety before the last 30 days.